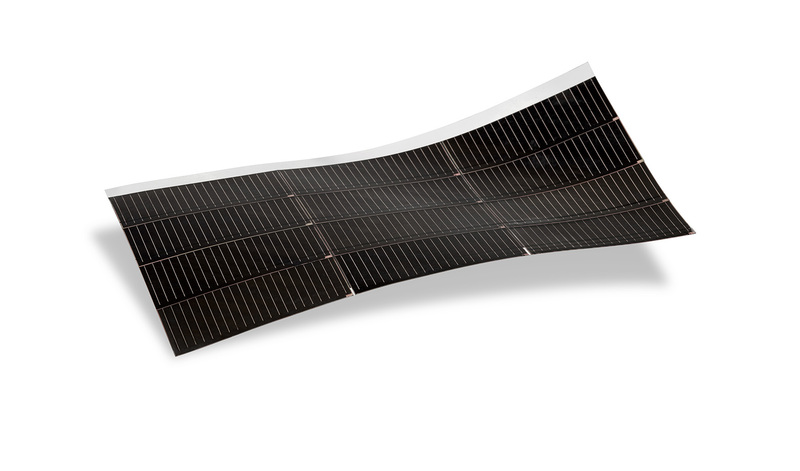 The ultra-efficient, thin, flexible solar panels from Hanergy are possible as a result of gallium arsenide (GaAs), a semiconductor that is moisture and UV radiation resistant. The panels are constructed by growing a thin layer of GaAs on top of a single crystal GaAs wafer using a process known as metalorganic chemical vapor deposition (MOCVD). The thin layer is then peeled off the wafer to produce a flexible, lightweight solar cell. These thin solar panels can then be applied in a variety of situations, including as part of a solar-charging backpack featured above. The GaAs modules produced by Hanergy achieve efficiency up to two times that of traditional flexible solar cells and have broken conversion efficiency records four times since 2010. They currently hold the world record for the highest conversion efficiency rate (in a laboratory setting) of 28.8 percent. Hanergy has collaborated with European automakers to apply their ultra-efficient solar modules in panoramic vehicle roofs, seamlessly integrating solar power with style. Their modules are also well-suited for drone applications because of their light weight and flexibility that does not affect a drone’s aerodynamic profile. It's not the first time arsenic has been used to great effect in solar panels - some getting above 30% efficiency - but there are clear safety concerns in lacing your roof with arsenic. Alta Devices produced a module, with a 25.1 percent conversion efficiency, capable of powering drones, electric vehicles and sensors that were once out of reach for solar power. 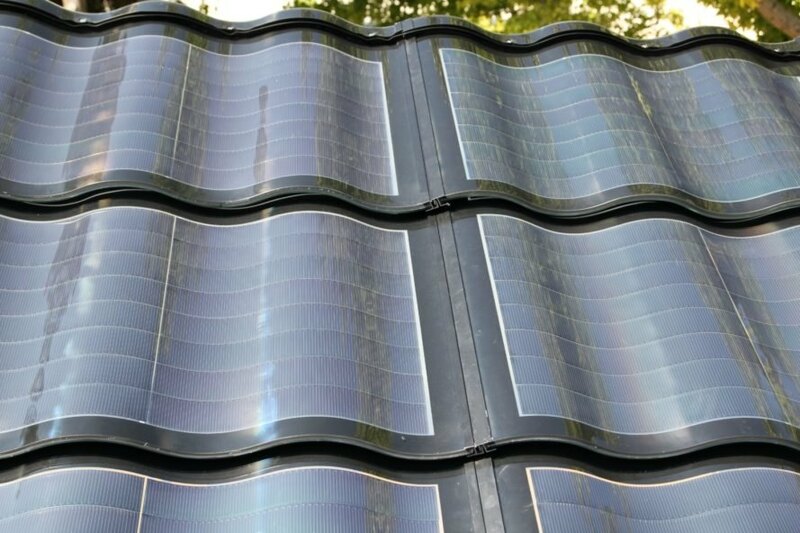 Curved solar panels from Miasole achieve high efficiency. 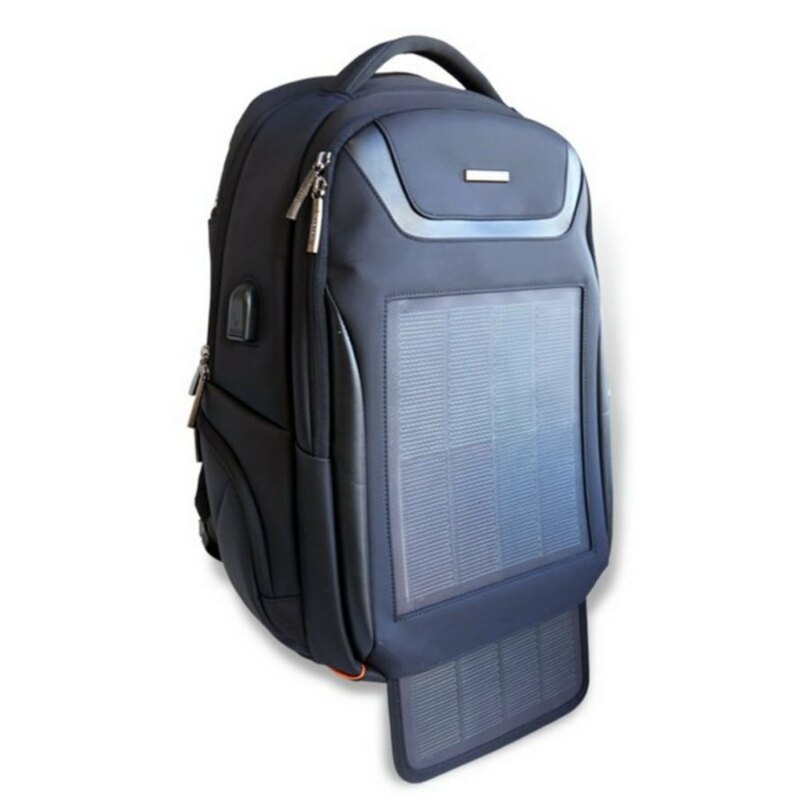 One application for Hanergy's thin, efficiency solar panels is a backpack equipped with a solar charger. Hanergy produces vehicles that are charged through solar panels. China-based Hanergy just launched the highest efficiency single-junction solar panel ever created. Hanergy's US-based subsidiary Alta Devices produced the module, which has a 25.1 percent conversion efficiency and is capable of powering drones, electric vehicles and sensors. Solar modules from subsidiaries Solibro and MiaSole have also broken efficiency records - double glass CIGS solar modules at 18.72 percent and sputtering CIGS solar modules on flexible substrate at 17.88 percent. "As we move toward a world of autonomous machines, developing sources of power that can be replenished without interruption is increasingly important," Alta Devices Chief Marketing Officer Rich Kapusta told PR Newswire. "Each time our technology achieves a new world record, it has been designed with a clear focus on this goal."